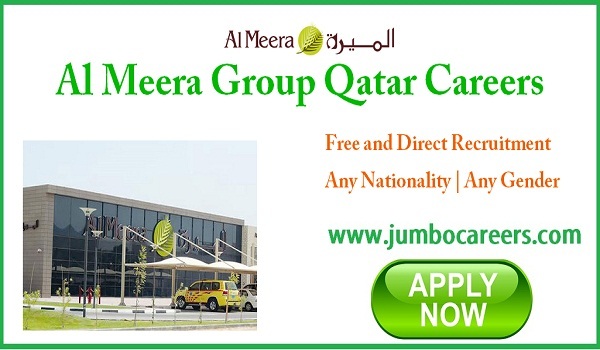 Qatar Based Al Meera Group which is running Al Meera Supermarkets , Geant Hypermarkets and WHSmith Bookstores urgently hiring staff. This job recruitment is direct from recruiter. About the Company : Al Meera is Qatar’s leader in the retail industry. For the last 11 years, they have been committed in providing quality products and services at reasonable prices in order to meet the ever-changing needs of our customers in a responsible and receptive manner. Al Meera is a complete store that provides customers true value for money.